Ice holds a unique role in that it indicates the condition of our planet. In Planet Ice, photographer James Martin examines the health of the earth’s ice, from Alaska to Greenland to the Andes, and documents the people and animals dependent upon it. This project pairs Martin’s photography with essays by experts in the field. 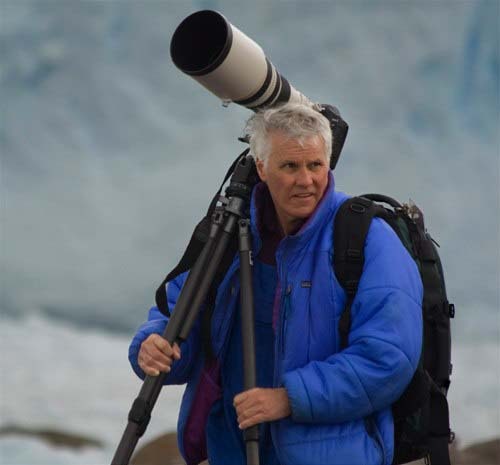 A trip leader for Joseph Van Os Photo Safaris, James Martin has contributed to Outdoor Photographer magazine and has seventeen books to his credit. For the Planet Ice project, he ventured to Antarctica, Greenland, Baffin Island, the Alaska Range, Mount Everest, Patagonia, Central Africa’s Ruwenzori Mountains, Mount Kilimanjaro, the Alps, the Canadian Rockies, Glacier National Park in Montana, Ecuador’s volcanoes, Washington State's Cascade Mountains, Alaska’s North Slope, the Three Gorges in China’s Yunnan Province, and Shishapangma, also in China. He is represented by Getty Images and ImageState. To learn more, visit James Martin's site.